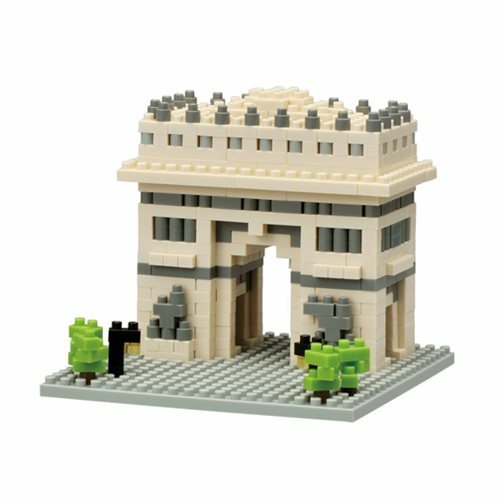 Now you can nano-size your own world-famous Arc de Triomphe! With these micro-sized building blocks, a 3D model takes shape right beneath your fingertips. You'll be amazed as the Arc De Triomphe Nanoblock Constructible Figure is assembled in the tiniest detail. With over 495 assorted pieces, it fits right in the palm of your hand!